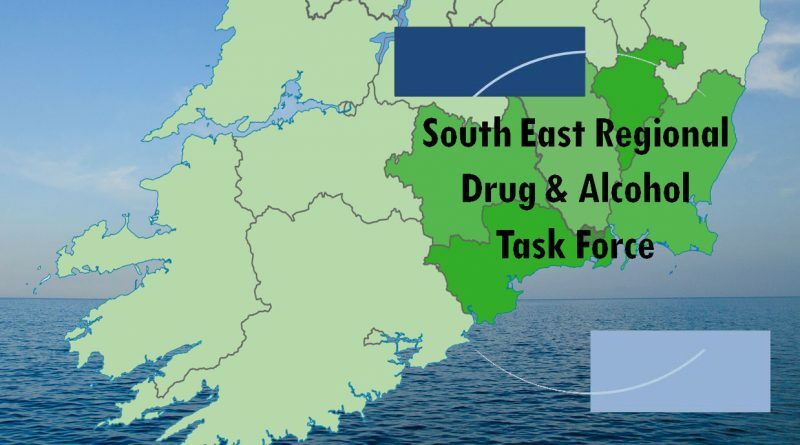 The South East Regional Drug and Alcohol Task Force is a regional committee, with an inter-agency membership of community, statutory, and voluntary interests (SERDATF membership). This committee meets four times a year. The SERDATF has a Finance and Technical subcommittee that meets before the full SERDATF meeting, and at any other time required. There is also a subcommittee that oversees the operation of the SERDATF Information/Awareness and Training portal (ICT portal). As the SERDATF catchment area includes five counties (Carlow, Kilkenny, South Tipperary, Waterford and Wexford), and crosses many agencies’ divisional or operational boundaries, in 2015 the SERDATF decided to commence County based structures in place of its previous thematic subcommittees (Treatment and Rehabilitation, Education and Prevention, and Supply Control). The original conception for the County structures was that they would be further divided into overlapping memberships that would consider; The National Drug Rehabilitation Framework (and associated treatment and rehabilitation issues), National Drug Strategy Action Implementation Teams (to consider non-Treatment and Rehabilitation National Drug Strategy actions), a Front Line Workers’ Forum and a Community Forum (in association with the five Public Participation Networks in the South East). During 2015 and 2016, the National Drug Strategy Implementation Teams and the Front Line Workers’ Forums commenced operation in each County. The SERDATF commissioned an independent review of these structures in 2016, which recommended continuing with the structure, and in 2017 elements of the previously envisaged Drug Rehabilitation Framework forums are to be incorporated into the National Drug Strategy Action Implementation Teams.